Ebenezer offers a comprehensive Music Ministry. Choirs for all ages, lay liturgists and song leaders, music camp for children and youth, volunteer directors/accompanists, and the Patrons and Friends of the Arts concert series are highlights of this ministry. Interested in participating in or supporting Ebenezer’s Music Ministry? We welcome your inquiry! Please contact David Turner, Minister of Music & Worship, by email or phone at (803) 765-9430 x 17. In addition to our Chancel Choir, we have a variety of musicians who contribute to the musical leadership in service each week. These musicians lead us in more modern musical selections with the use of guitars, djembe, piano, etc. We have singers in both groups. 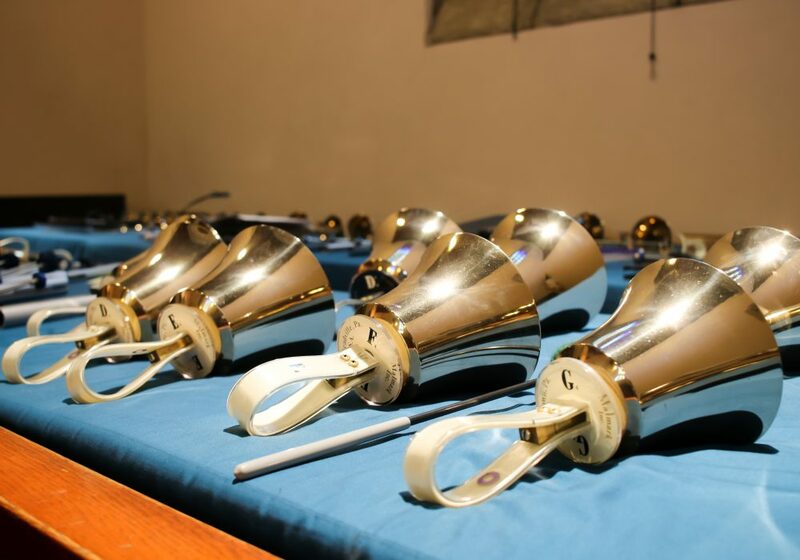 The Ebenezer Handbell Choir is a group of 14 ringers who play advanced handbell music. New ringers or substitutes are welcome. This group plays in worship once per month. Our Preschool Music for children from birth through age 5 meets during the Sunday School hour in the toddler room. With a music and movement format including the use of instruments, babies and toddlers participate with the help of adults, and preschoolers learn songs, which are offered at our services several times per year. Many Ebenezer members/disciples serve as volunteer directors, helpers, or accompanists for various aspects of our Music Ministry. Those with these talents are encouraged to use their gifts as part of the music leadership team and should speak to the pastor. Patrons and Friends of the Arts at Ebenezer offers an annual series of concerts that are FREE and open to the public beginning each fall. Funding sources include individual and corporate sponsors, cultural grants, and free will offerings. The board of directors includes members of Ebenezer and the community at large.